The climbing world was shocked to hear of the death of Andy Nisbet this week in an accident on Ben Hope. Andy and climbing partner Steve Perry both died on Tuesday (February 5th) after a fall on the mountain where in recent years they had put up a number of new winter routes together. It is understood that the two had finished a climbing route and fell while on the upper slopes of the mountain. Tributes flooded in from across the climbing community when the news broke. At Mountaineering Scotland we were shocked and saddened at the news. Their deaths are a huge loss to the mountaineering community in Scotland and, in particular, we send our condolences to family and friends of both Andy and Steve. We would also like to pay tribute to members of the mountain rescue teams and others who were involved in responding to this tragic accident. Andy Nisbet was one of Scotland�s best-known climbers, a prolific climber of new routes � he was said to have made over a thousand first ascents � and heavily involved in the writing of the SMC�s climbing guidebooks. He was also a past president of the Scottish Mountaineering Club. Although he graduated with a degree in biochemistry from Aberdeen University, climbing became his career. He started as an instructor with Glenmore Lodge and worked in guiding from then on, for a time with Martin Moran. Andy Nisbet. Photo by Sandy Allan. In the 1980s he experimented with what was then the new technique of torqueing with ice axes and was at the forefront of an explosion of standards in Scottish mixed climbing. One of the routes he was said to be most proud of was the winter ascent of The Needle, on the Shelter Stone Crag, in 1985, climbed with a planned bivi and coming in at VIII,8. That was followed by a �raid� through to the west when he climbed the Glen Coe classic Unicorn, E1, at VIII,8. Over the years Andy climbed all over Scotland, contributing to the reputation of Beinn Eighe as a major venue summer and winter, and he became legendary for having a massive list of potential winter routes of all grades in all parts of Scotland. Friends said he had �an eye for the alternative and for getting off the beaten track� and that he �pushed the limits of what was thought possible or achievable�. Appropriately enough, Andy edited the Scottish Mountaineering Club Journal's new routes section since the mid-80s, and He was probably the most prolific Scottish climbing guidebook writer, writing or contributing to a number of the Scottish Mountaineering Club guides including Scottish Winter Climbs (co-authored with Rab Anderson), The Cairngorms (co-authored with Allen Fyffe), the Northern Highlands series, the Scottish Rock Climbs selective guide, and Scottish Sport Climbs. 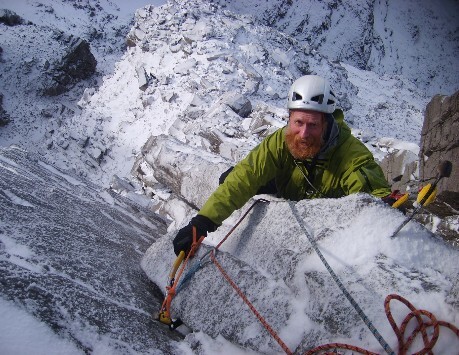 In 2014 Andy received the Scottish Award for Excellence in Mountain Culture. 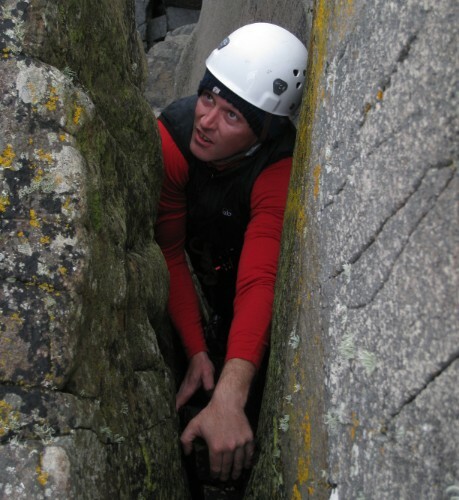 His love of pioneering new routes was illustrated in an article he contributed to the 2018 SMC Journal, where he wrote with enthusiasm of his introduction to the possibilities of Ben Hope by Steve Perry. The two had already climbed a number of new routes there. Steve Perry was raised in Yorkshire, but had moved up to live in Scotland, staying close to Ben Hope. He first came to attention with two exceptional mountain journeys. He spent seven-and-a-half months walking from Land�s End to John o� Groats, taking in every 3000ft mountain in England, Wales and Scotland on the way. Two years later in the winter of 2005-6, he took on what has been described as one of the hardest mountain journeys ever undertaken in Britain: the first continuous winter round of the Munros on foot. She added: �After the Munros walk four of us went on a trip to Africa and climbed the three highest peaks in Africa � Kilimanjaro, Mount Stanley and Mount Kenya � in just three weeks. 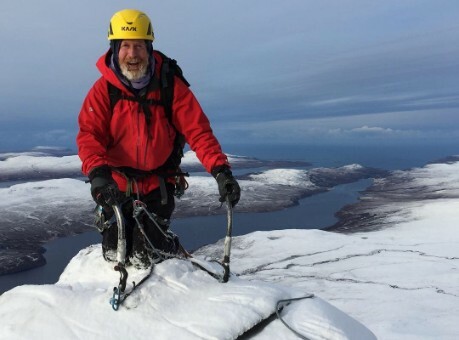 Steve became a keen and well regarded climber, summer and winter, and in 2013 spoke to Andy about a possible ice line on Ben Hope, which led to the two enjoying a fruitful partnership developing the considerable potential of these little-visited cliffs of Scotland�s most northerly Munro. Andy had written about these explorations in the 2018 edition of the Scottish Mountaineering Club Journal and the pair clearly felt there were more routes to be found. Both climbed elsewhere as well, and only this time last week, climbing with Helen Rennard, the pair put up a new Grade VIII route on Lurcher�s Crag in the Cairngorms.